MedStar Washington Hospital Center is a 912-bed, major teaching and research hospital. It is the largest private, not-for-profit hospital in the nation’s capital, among the 100 largest hospitals in the nation and a major referral center for treating the most complex cases. Its cardiology program is highly acclaimed and its cardiac surgery program has consistently earned the highest national rating–three stars–from the Society of Thoracic Surgeons. It also is a respected top facility in the areas of cancer, diabetes & endocrinology, ear, nose and throat, gastroenterology & GI surgery, geriatrics, gynecology, nephrology, pulmonology and urology. It operates MedSTAR, a nationally-verified level I trauma center with a state-of-the-art fleet of helicopters and ambulances, and also operates the region’s only adult Burn Center. MedStar Heart & Vascular Institute's cardiac surgery program has earned the highest quality rating of three stars from the Society of Thoracic Surgeons. MedStar Heart & Vascular Institute, headquartered at MedStar Washington Hospital Center, received three-stars in all three ranked categories: coronary artery bypass grafting (CABG), aortic valve replacement (AVR) and combined AVR + CABG. MedStar Washington Hospital Center has been recognized by U.S. News & World Report as the only hospital in the Washington region with a nationally ranked heart program. U.S. News & World Report also rated the Hospital Center high performing in 6 adult procedures and conditions: Aortic Valve Surgery, chronic Obstructive Pulmonary Disease (COPD), Colon Cancer Surgery, Heart Bypass Surgery, Heart Failure and Lung Cancer Surgery. MedStar Washington Hospital Center’s dedicated MedSTAR Trauma Unit is verified by the American College of Surgeons’ Committee on Trauma as a Level I Trauma Center. It performs in the top 10% of U.S. Trauma Centers in the management of penetrating trauma. MedStar Washington Hospital Center has been awarded the American Heart Association/American Stroke Association’s Get With The Guidelines®-Stroke Gold Plus Quality Achievement Award. It also received the association’s Target: Stroke™ Honor Roll Elite award. Both awards recognize the Hospital Center’s commitment to ensuring stroke patients receive the most appropriate treatment according to nationally recognized, research-based guidelines based on the latest scientific evidence. MedStar Washington Hospital Center was the first hospital in the Washington region to be certified as a Comprehensive Stroke Center by The Joint Commission. 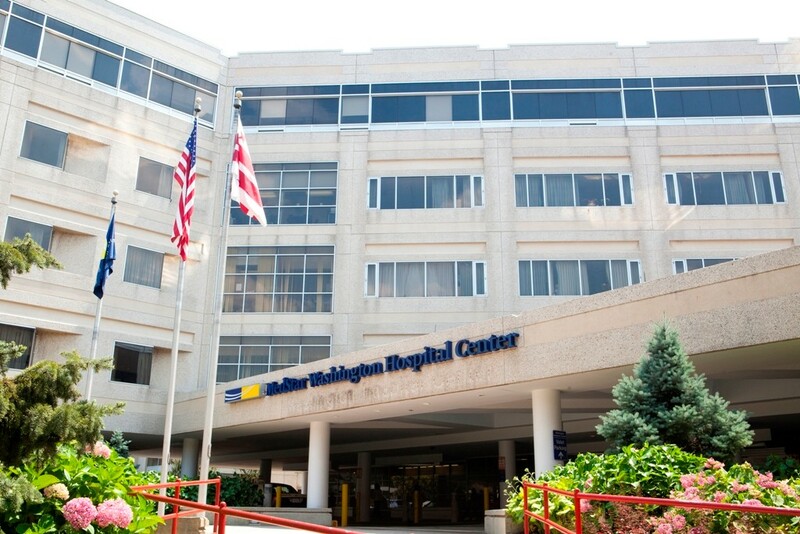 MedStar Washington Hospital Center is the first acute care hospital in the nation’s capital to achieve the prestigious Pathway to Excellence® designation by the American Nurses Credentialing Center, a subsidiary of the American Nurses Association. The designation identifies the Hospital Center as one of the best places for nurses to work. MedStar Washington Hospital Center is a designated Baby-Friendly hospital, from Baby-Friendly USA, Inc. The organization’s Baby-Friendly Hospital Initiative is part of a global program of the World Health Organization and the United Nations Children's Fund that seeks to improve breastfeeding rates while encouraging mother-infant bonding. MedStar Washington Hospital Center is recognized for exceptional care for older adults and has achieved “exemplar” status, the highest level of recognition, in designation from NICHE, Nurses Improving Care for Health System Elders. The Vizient/AACN Nurse Residency Program at MedStar Washington Hospital Center, which trains 350 new to practice nurses each year and is one of the largest in the U.S., is accredited by the Commission on Collegiate Nursing Education.